Learn about the causes of corked wine and how to identify corked wines. The number one problem wine buyers continue to encounter time and time again is purchasing bottles that are defective due to problems with the cork used to seal the bottle. This is commonly referred to as corked wine. Trust me on this, there is nothing worse than opening an expensive bottle of Bordeaux, or any bottle of wine and discovering the wine is faulty, due to issues with cork. This is a problem as cork remains the number one material used to seal wine bottles. Part of the success of using cork to seal to wine bottles comes from tradition. Cork or other sealants in some form have been used to seal vessels holding wine for thousands of years. Corks became popular at the same time that glass bottles began gaining in popularity. Corks seal the wine in the bottle which severely retards the oxidation process, allowing the wine to age and evolve slowly over time. 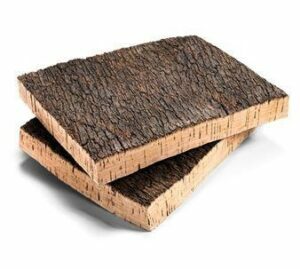 Cork is produced from the sponge like material taken from cork oak trees, also known as Quercus Suber. Cork oak trees are grown primarily in Portugal. Cork started to become the sealing material of choice in the late 1600’s when it became possible to create glass wine bottles with an almost uniform shape and design. It took until the late 1700’s to create easy to use corkscrews for the wine lover or tavern owner. At that point in history, cork replaced glass wine stoppers, which while they worked well, glass stoppers were not easy to remove without breaking the wine bottle. Wine is a living, breathing agricultural product and while most wines are hardy, they need proper care and attention, especially if they are destined for cellaring to be opened at a later date. This means that the the should never be exposed to high heat, or temperature spikes. Short term exposure to high heat, over 80 degrees Fahrenheit can cause damage to your wine. If the wine reaches every higher temperatures, the likelihood of your wine suffering permanent damage grows exponentially. It is possible to tell if your wine suffered potential heat damage without opening the bottle. If the cork is protruding from the bottle top, that could be due to temperature spikes, or from freezing temperatures. Either is a problem, especially if you are planning to hold the wine for extended cellaring. You can also see potential issues if you can see seepage, meaning that there are signs of dried, wine residue on the neck of the bottle. Lastly, if you examine the cork, and you see telltale signs of wine residue on the side of the cork, and not in an even pattern starting with the bottom of the cork, the chances are strong that your wine has been exposed to higher than normal temperatures. When tasting cooked bottles, the wines can often show signs of brightness in the fruit, as if the fruit has been cooked. You can also find higher levels of crispness to the flavors and a shorter than expected finish. The wine can also be dull, or muted. In severe exposure to high heat, the wine can take on a cooked, or deadened character. The pairing of the cork and wine bottle ushered fine wine into the modern age, as from that point forward, wine had the ability to age and evolve in the bottle. Interestingly cork and fine wine share another commonality. The cork, oak tree needs to be at least 25 years old before the material used to create the cork can be harvested. This is similar to the age of vines in many of the world’s best wine regions. While grape vines are harvested every year, cork trees are only able to be harvested once every nine years. There is no scientific number we can reference as to the exact percentage of wine bottles that are corked. Estimates range from 3% to 8%. That is a lot more corked bottles of wine than every wine loving consumer wishes they encountered. Issues with corks is the number one problem and fault with wine today. Corked wines are completely random. Just because one bottle of wine from a case is corked, does not mean you will have problems with any other bottles from the same case. Sadly, the reverse is true as well. From personal experience I can report I have also had more than one bottle that was corked from the same case. Can you drink corked wine? While corked wines are ruined, drinking a corked wine is not going to cause you any physical harm if you ingest it. Other than make you cry from the loss of course. The bad smell does not go away with air or time. In fact, the stench continues to get worse with exposure to air. However, there is another issue that occurs due to corks infected with TCA. This is much harder to recognize. That is when the wine is muted. The degree of being muted often varies from bottle to bottle. In the worst cases, there is no perfume and the flavors are almost non-existent. The cause of corked wine. What is the cause of a corked wine? The culprit is usually one of two reasons, TCA, which is short for 2, 4,6 Trichloroanisole. TCA is a type of fungus that occurs naturally. Because TCA is a natural fungi present in the bark of the cork tree, it can be easily be taken into the cork. The process of producing corks takes more than 3 months. To produce a cork, the tree is first stripped of the cork material. If the cork meets the manufactures standards, which vary depending on the producer, the cork is air dried for 3 months. This allows the cork to develop the right amount of moisture needed so the cork retains the proper amount of elasticity. The next step is where the contamination might occur. The cork material is boiled in water for about 2 hours, allowing the material to be flattened for later formation. Next, the cork is shaped, sized and polished before polishing. The final step of disinfecting the cork in corks chlorine or hydrogen peroxide is where the TCA infection can occur. 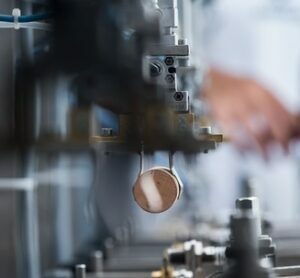 The last step in the process is the printing on the cork and a final waxing of the surface, which helps the cork slide into, and out of the bottle. TCA can develop as part of the process used to clean, bleach and sterilize corks, if the cork producer uses chlorine during the process. Chlorine can also come from nature. TCA can also be present either in unclean cellars, in part due to preservatives used for wood, or found in pesticides. TCA, which is most often the cause for corked wine is incredibly potent. Think about it. All it takes is approximately five parts per trillion of TCA in red wine to destroy it. In white wine, it takes even less as it only requires 2 parts per trillion to ruin the wine. To illustrate this, a single drop of pure TCA could inflict its damage on more than 100 massive swimming pools. A teaspoon could destroy a small lake! Because TCA occurs naturally, it is impossible to remove it entirely. However, efforts to reduce TCA contamination have clearly reduced the number of tainted corks and perforce, bad bottles. Each taster has a different threshold when it comes to sensing TCA in wine. Some tasters are more sensitive than others. I can also state, I have been to numerous dinners and tastings where some people claimed a wine was corked, but I did not agree. In other words, not everyone finding a wine to be corked is correct. There are also current studies showing that TCA infected wines are not actually damaged. The TCA did not alter the wine. Instead it changed the way the taster was able to smell, taste and experience the wine. At the best cork producers, today they are much more vigilant about inspecting a greater percentage of corks than what was commonly practiced during the 1990’s, when the problems due to corked wines was perhaps at its worst. How cork producers are trying to reduce and hopefully eliminate corked wine today. 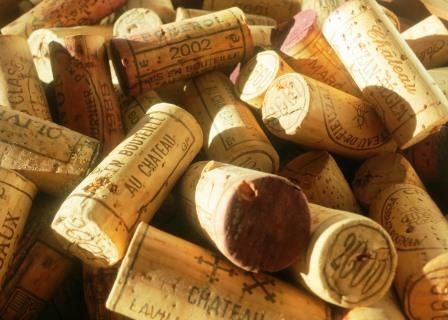 To combat defective corks, many cork producers are bleaching the corks with peroxide instead of chlorine as well as steam cleaning and washing the corks. However, the most high tech, and of course expensive solution is a new process, carbon dioxide washing. This technique, developed by the perfume industry was created to remove unwanted odors. A lower priced method of steam cleaning has also been adopted. Steam cleaning is not as effective, but it’s not as expensive either. Boiling the cork, in uncontaminated, clean water, which is not reused has also been adopted by cork producers. Cork producers have created another method of reducing wines spoiled by TCA, the cork barrier, which is a thin membrane fixed to the end of the cork by heat. This seems to work as well. But once again, it’s an expensive method of reducing the number of bad bottles. Due to the high cost, most of the world’s wines are not going to be sealed with the best corks. In 2016, Amorim, the world’s biggest cork producing company announced a new technology to help discover tainted cork. ND Tech, short for Non Detectable Technology utilizes gas chromatography mass spectrometry, chemical analysis to seek out TCA tainted corks. Amorim claims NDTech is so powerful, it can detect TCA showing as little as 0.5 nanograms of TCA per liter. To illustrate how powerful that is, TCA is considered detectable at 1 part per trillion. NDTech is 500 times more powerful than that. To put it another way, NDTech is able to detect 1 drop of water spread out to 800 Olympic sized swimming pools! The process is fairly expensive, making clean corks more expensive, but clearly it is money well spent, as it will greatly reduce issues from bad corks. The cost of quality corks can vary widely. Obviously, the more expensive wines deserve the best cork which is hopefully a TCA free enclosure. It is not cost effective to use these expensive corks on lesser priced wine bottles. What to do if you purchased a corked or cooked wine. What to do if you buy a bottle of wine and it is corked or cooked? Return it of course! Corked wines are a defective product. The wine was ruined almost the moment the bad cork was inserted into the bottle. Cooked wines are bottles that were exposed to high heat either during shipping to the retailer or restaurant, or at the merchant or restaurant. Of course, with older bottles, there is not much recourse. With young wines, when the merchant, retailer or distributor can return the wine for a replacement bottle, there is no reason not to request a replacement wine. If you purchased a corked wine directly from a winery, they too should replace it without any trouble. However, you might need to return the cork, or the remaining wine left in the bottle, along with the cork for a refund or replacement. Of course the best action to take when you have encounter a corked bottle is to return it. But if you cannot remember where you bought the wine, or the bottle is not yours, do any of the following fixes really help corked wine? Reduction of cork taint in your wine. Putting Saran Wrap in your glass does not really help remove the stench found in a corked wine. While it does remove some of the cork taint, as Saran Wrap attracts the molecules that create TCA, it removes even more of the wines aromatic qualities and character, and you are still left with an undrinkable wine. The theory behind this is, the 2,4,6-trichloroanisole is similar to polyethylene chemically. Because of their similarity, Saran Wrap attracted and removed the cause of the cork taint. Personal experiments have shown this does not help. At least today. It would appear that the use of Saran Wrap helped remove more of the cork taint prior to 2004. In subsequent years, Saran Wrap changed their formula removing the TCA attractor polyvinylidene chloride, which was thought to have leached too much chlorine onto the products it touched. There is another issue with using natural corks. Similar to a snowflake, each natural cork is unique. Because no two corks are exactly alike, each cork will seal a bottle differently, due to the natural elasticity and variances in shape and size in the corks. This is the leading cause of bottle variation in aged wines. The differences in the wines development are caused by the amount of oxygen that comes into contact with the wine over time. Screwcap enclosures for fine wine. Due to the continuing issues from TCA tainted corks, by 2015, the cork industry lost at least 35% of their business to a myriad of alternative, non cork, wine bottle, closures. Alternative closures to cork are continually being used and tested in numerous different wine producing countries. Perhaps Australia has embraced screwcaps more than any other country. The practice of using aluminum screwcaps to seal wine bottles began in Australia and New Zealand in the 1970’s. Although some producers in California and the Rhone Valley have tried using them as well. In Bordeaux, Chateau Margaux has been experimenting with screwcaps for Pavillon Rouge since 2002. Screwcaps consist of a metal cap with a liner inside the top of the cap that attaches to the bottle lip for its seal. Equally important in the screwcap is the inside liner which controls the inability of air to enter into the bottle. Because cork is porous and allows a minor exchange of oxygen, wines are in theory able to age, evolve and improve with extended bottle age. It is not yet known how wine will age when sealed with screwcaps. Today, manufactures of screwcaps have improved their product so that they are now constructed to allow for limited amounts of air into the bottle. However, screwcaps have other problems as well. Studies have shown that not all screwcaps enclosures are applied correctly. The lack of a perfect seal causes the wine to experience premature oxidation. The ability for wines meant to age in the bottle is paramount to collectors and producers. The lack of evidence as to how wines with screwcaps will age, is a major concern. Advances in technology have led to the creation of VinPerfect. VinPerfect allows for the introduction of oxygen into the bottle, which will help the wine develop along a more natural path. The company is trying to develop a series of enclosures that allow the precise amount of oxygen tailored to the specific wines development. Synthetic cork and other manufactured cork substitute for wine. Synthetic corks created from plastic have made vast improvements since they were first introduced. The initial synthetic corks were often deep purple and while they were produced to try resembling wine stained corks, they actually looked like more like rubber. Today, that is not the case as they are created to look exactly like natural corks. The problems with synthetic corks is the lack of a perfect seal. In turn that allows more unwanted air into the bottle, causing the wine to oxidize. Worse, many of the synthetic corks have been known to impart a slight rubber or chemical smell, damaging the wine. Beherns and Hitchcock, a producer of Cabernet Sauvignon in Napa California was one of the early proponents of plastic corks. Most of the wines bottled using those synthetic corks have not developed well. Many of those wines are defective. However, today, plastic corks have improved quite a bit, since their initial creation. Because the plastic corks allow air to integrate at a faster pace than normal corks, some winemakers actually prefer it. In fact, that has become part of the selling point as the corks can be ordered to allow for a more or less rapid transmission of air into the wine, based on the tightness of seal. Some producers, mostly in Europe have embraced glass/plastic closures from Vino Seal. The Vino Seal is a glass stopper that creates a perfect seal. A perfect seal is not what you need for wines that require bottle age to develop. Problems due to the lack of oxygen. exchange, which does not allow for long time aging of the wine, coupled with the high cost has not helped the glass, wine bottle sealer gain wide acceptance. Some producers that prefer cork, and want to further reduce their risk to TCA infected bottles have been using DIAM. DIAM is made from natural cork, but instead of using large sheets of cork bark to make the cork, the cork is produced from small pieces of cork particles that have been glued together to form a cork. Perhaps the biggest boost for DIAM took place starting with the bottling of the 2014 Burgundy vintage when Domaine Leflaive announced they were bottling their entire white Burgundy lineup using DIAM corks, in an effort to eradicate pre-mox, or pre mature oxidation issues. This was seen as fairly big news, because the traditional, Burgundy wine region is slow to change their ways, or even consider admitting their is a problem. Only Domaine Ponsot tried finding a solution when they switched to using plastic corks from ArdeaSeal. Corks have been the undisputed choice to seal wine bottles for hundreds of years. But with all the alternative enclosures available these days, by 2017, it is estimated that less than 70% of all wine bottles today are sealed with natural corks. Still, at the end of day, it is unlikely corks will be replaced as the sealer of choice for the best wines. In part, there is the romance and tradition of removing the cork, coupled with that special popping sound that lets you know, you are about to drink a wine and that is something technology cannot improve on.